This product is now obsolete and has been replaced by the SMP50. In recent years, Stuart has become the laboratory name in melting points. For the first time, Stuart has introduced an automatic melting point, the SMP40. The automatic melting point accurately identifies the melting point of up to three samples simultaneously via the latest technology in digital imaging. 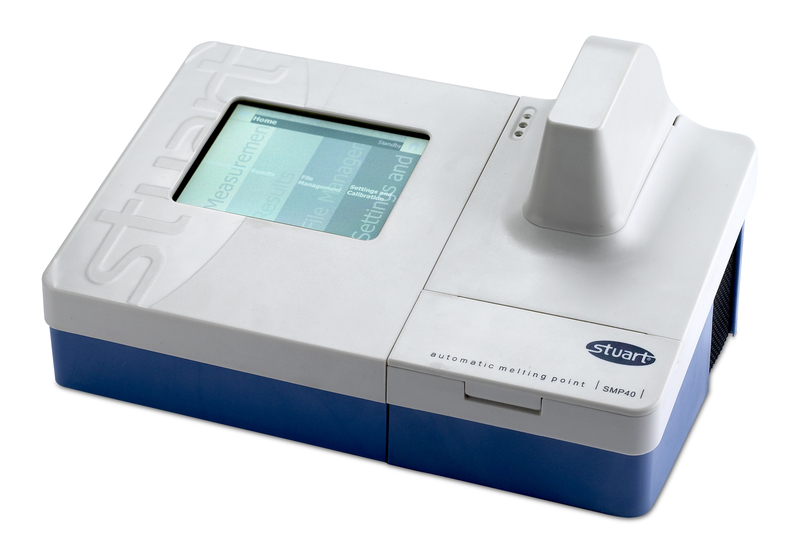 Stuarts previous 'top of the range' unit has also been improved to include further useful and innovative features. The latest melting point from Stuart uses a digital camera to identify the smallest of changes within the sample, allowing accurate, and reliable, automatic identification of the melting point of your material. An automatic melting point frees the user time to allow them to do other things, and with the full colour display on the SMP40 you can watch the sample melt real time, just in case you want to keep an eye on the result. 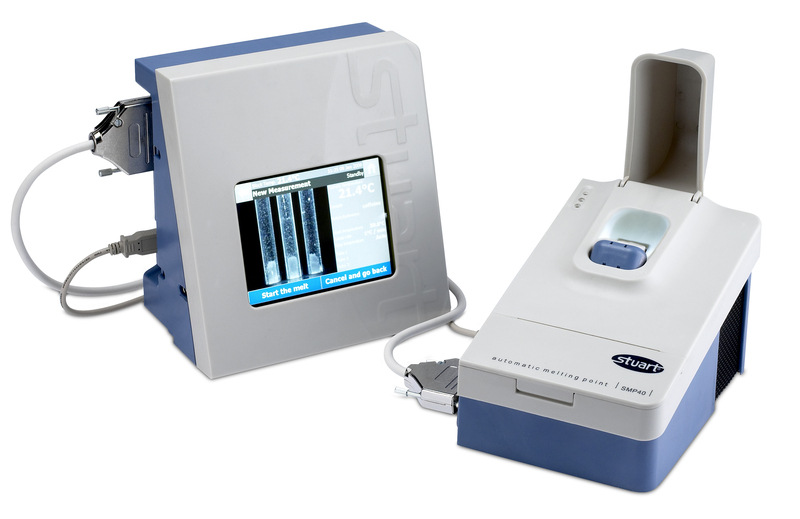 The SMP40 can retain approximately 200 results with videos for reviewing at a later date. Alternatively the unit has USB ports for connection to flash drive or PC via Microsoft ActivSync, so the video files can be more permanently stored as a long term record. It is inevitable that at some point in the life of a melting point apparatus the block will need cleaning. The SMP40 has been cleverly designed to allow easy access to the block to make this necessary job as easy as possible. All control of the SMP40 is via the colour touchscreen display, the user interface has been custom designed for melting point applications and is quick and easy to navigate. On the screen a full colour display of the samples is shown in real time, just in case you want to check on the automatic result. Once samples have been run the video files are retained as standard .avi files and can be viewed on the unit after the event or transferred to PC to retain traceability long term. The design on the SMP40 utilises a protective safety hood which, when loaded, protects your samples from accidental sideswipes. The hood also acts as a light shield ensuring that adjustments in the ambient lighting conditions don't affect the automatic melting point determination. 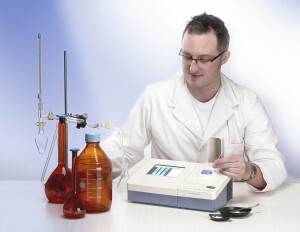 The SMP40 features a handy storage area where pre-prepared samples can be safely stored. The Stuart automatic melting point is the first melting point to utilise a split concept. The control side can be separated from the sample side allowing maximum footprint flexibility, the sample side can be located at the back of the bench to give more space or even in a fume cupboard if required. The control side can also be used in two orientations, either landscape or portrait, this allows a more comfortable viewing angle whether you are stood or sat at the bench. The control side automatically detects which orientation it is in and flips the screen to always be the right way up. 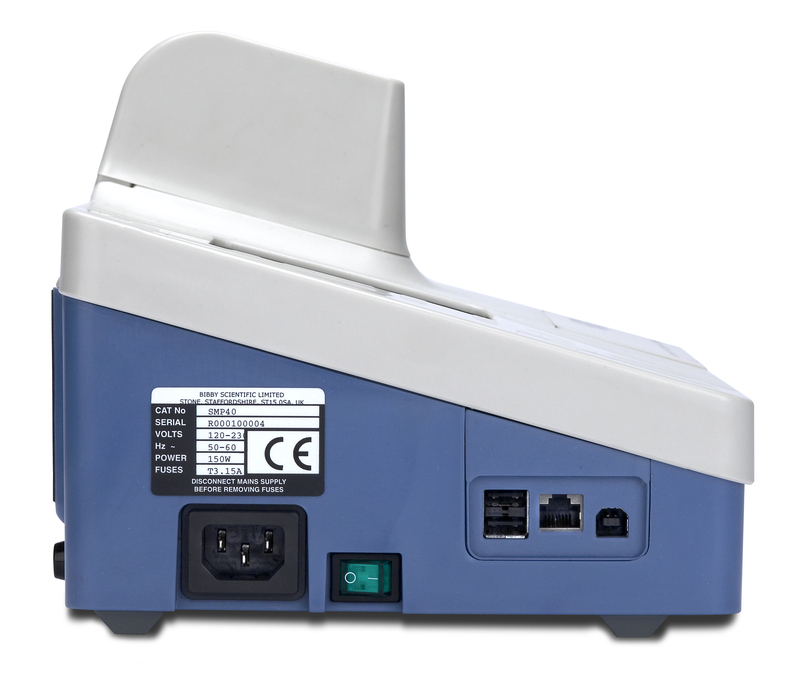 The SMP40 features a useful onboard storage drawer to house all standard capillary tubes. The drawer also contains a small glass cutter that can be used to accurately cut sample tubes in half, for those users who prefer not to use whole tubes. Not only will the glass cutter always get the cut in the centre of the tube, but it will also reliably give a clean cut making sample loading cleaner and safer. All units are factory supplied with a calibration certificate showing individual serial number for traceability. The SMP40 also conforms to Pharmacopeia and GLP. SMP40 - Automatic melting point apparatus, complete with pack of 100 melting point tubes, closed at both ends.